iMessage bubble/screen effects not working on iPhone X/8/7/6s/6/SE/5s? This guide will tell you how to fix iMessage effects not working issue in iOS 10/11/12 with detailed steps. Apple has added many cool features to the Messages app since the iOS 10 upgrade. 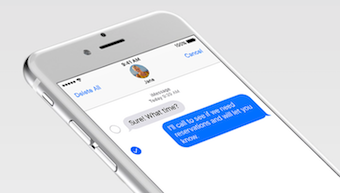 Most of the users are fond of the new Messages app that is enjoyable than ever before. We can send iMessages with bubble effects or screen effects. 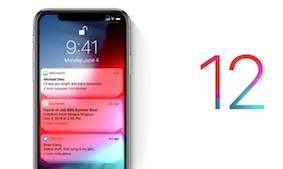 However, some users say that the iMessage effects not working on their iPhone 8/X/7/6s/6/SE/5s in iOS 11, or after updating to the new iOS 12. 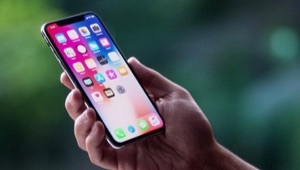 Usually, a new iOS update will cause data loss on iPhone, like text messages. 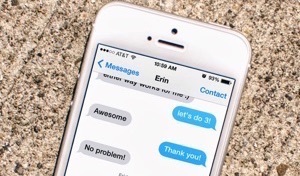 If this happens on your iPhone, follow the guide to know how to get back the lost text messages. What if you also meet iPhone message effects not working issue? Or send with the effect not working? Don’t worry. Here in this guide, we will help you fix the messages effects not working issue in iOS 12/11/10 on iPhone and iPad. Let’s begin. If the iMessage effects not working on iPhone 8/X/7/6s/6/SE/5s, then first go to have a check whether you have turned on Reduce Motion. Bubble/Screen effects don’t work properly when Reduce Motion is enabled. Go to Settings app > General > Accessibility > Reduce Motion > Disable Reduce Motion. In iOS 10.3.2 and later, Apple has added a new option called Auto-play Message Effects. When you turn it off, the effects will not play automatically, and you need to tap the Replay button to play it. 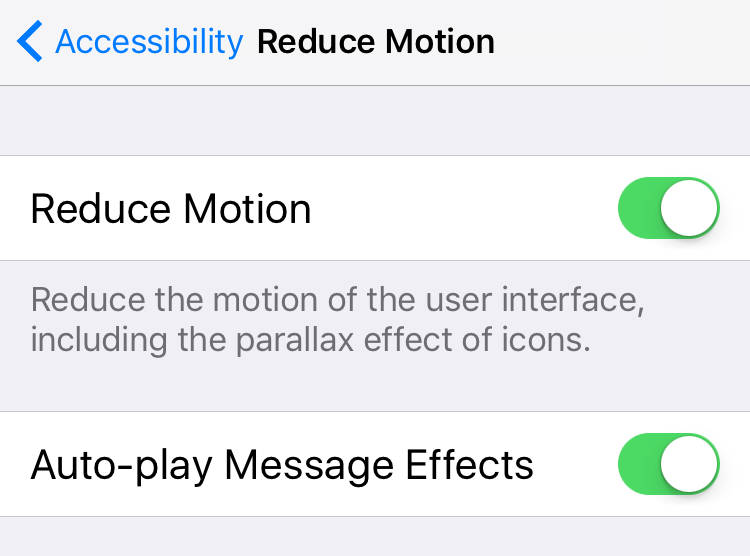 Settings app > General > Accessibility > Reduce Motion > Turn on Auto-play Message Effects. This method can be applied to many iPhone/iPad related issues, and you can also have a try to fix iMessage effects not working problem. Restart your iPhone/iPad: Press and hold down the wake/sleep button > Drag slide to power off > Open your device again after 10-30 seconds. Reboot your iPhone/iPad: Press and hold down the Home button and the wake/sleep button until Apple logo appears. For iPhone 7 users, please press the Home button and the volume down button. For iPhone 8/X users: press and quickly release the volume up button, then press and quickly release the volume down button, finally press and hold the power button. You can also reset all settings on iPhone or iPad to fix bubble/screen effects not working in iOS 10/11/12 problem. Open Settings app > General > Reset > Reset All Settings > Confirm on the pop-up window. It will reset your device to factory default settings without any data loss. Double-tap the Home button and swipe up the Messages app. Open Messages app after a few seconds to have a try. Some users have fixed iMessage effects not working in iOS 11/10 issue after trying this method. Go to Settings app > Messages > Turn off iMessage > Turn it on after a few seconds. Go to Settings app > Messages > Send & Receive > Tap your Apple ID > Sign Out > Then Sign in. Another thing to confirm: Choose your phone number under START NEW CONVERSATIONS FROM. This method has helped some users fix iOS 10/11/12 iMessage effects not working problem. 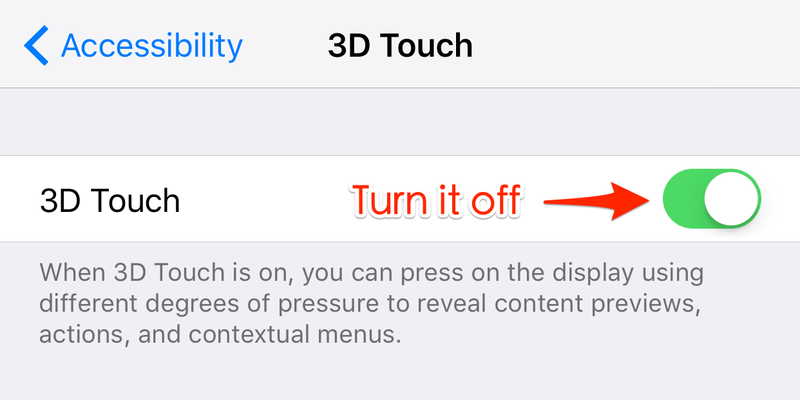 Go to Settings > General > Accessibility > 3D Touch > Turn it off. Just be patient and wait. 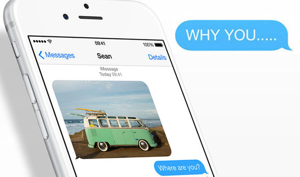 Some users have reported that the iMessage effects work again after some hours. You can wait about 24 hours to check whether the screen or bubble effects start to work. This is your last option. 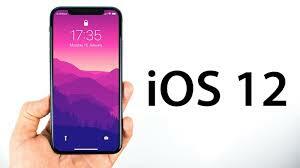 If you all the above methods cannot help you fix screen/bubble effects not working in iOS 11/10 issue, then you can restore your iPhone/iPad to have a try. Remember to back up your device in advance. 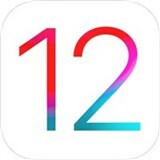 Hope this guide can help you fix iMessage effects not working in iOS 12/11/10 issue on iPhone 8/X/7/6s/6/SE/5s and iPad mini/Air/Pro successfully. These methods can also be applied to fix message effects not working on the new iPhone 8. If you have some new ideas, just share it in the comment section. If you like this guide, please share it to help more people.